Sometimes when you see a skin or an alternate costume in a video game, you think “hey, that’s neat!” and don’t give it a second thought. Xavier Coelho-Kostolny, a 3D character artist at Insomniac Games, actually broke down the process of getting a cool piece of video game art from concept to your television screen in a series of tweets from yesterday. Coelho-Kostolny specifically was talking about the Spider Punk costume for Insomniac’s upcoming Spider-Man game, which depicts the superhero in a denim vest with a mohawk made of metal studs. 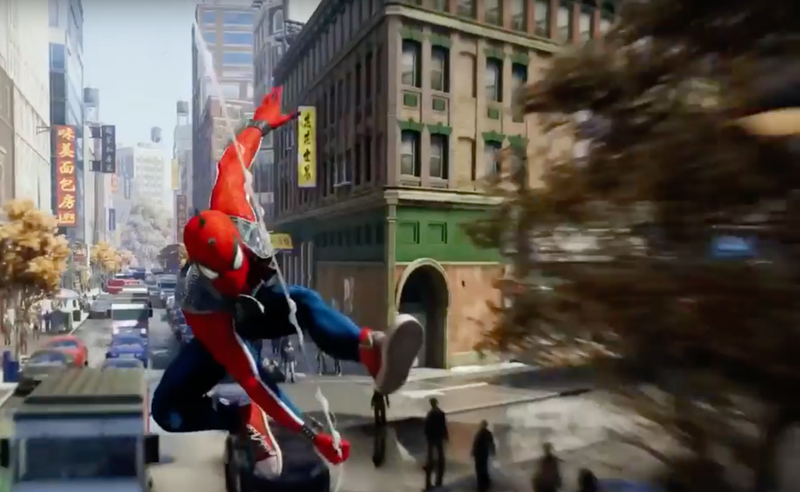 A week after the concept was greenlit by Marvel, Coelho-Kostolny and Goulden started working on a design, trying to split the difference between the accurate representation of the source material that Marvel wanted and “making something with stunning visuals that could only be achieved with the power of the PS4,” for Sony. If that sounds like a lot of work for a single costume, well, that’s just what making video games is like. Once the design was approved, they started working on a 3D model, which involved another few weeks of iteration and feedback. Sometimes the criticisms were very granular, about how the vest sat on the character, for example. After the 3D model was approved, it was passed to other team members for rigging and blend shapes, which Coelho-Kostolny went on to explain. From there, they pass the model to the animation team to give it some animations. Then the model goes to the mission design, combat design and programming departments, where those respective developers will ensure that the animations play at the proper times. The user interface and user experience teams design how the player sees and interacts with the costume in menus, and the marketing team works with Marvel to make promos for the costume. If that sounds like a lot of work for a single costume, well, that’s just what making video games is like.